I know it has been forever since I posted anything. After wrapping up the school year, I have spent most of my time with my girls, reading books for FUN, running, and looking for a new job. It feels so good to be finished!!! I love alphabet books, but I am kind of picky about what makes a good one. I came across this alphabet book this week and I really liked it so I wanted to share. 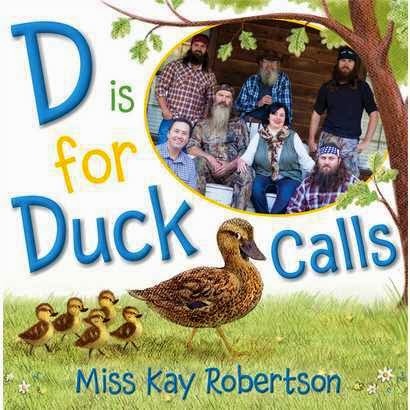 This alphabet book features everyone's favorite Duck Dynasty characters, sayings, and more! I am not a big Duck Dynasty fan, but I still found this alphabet book to be lots of fun. Your little ones who are Duck Dynasty fans will love it for sure! Theses are just a few ideas. I am sure you can come up with tons more!